I’m not sure publishing needs saving (not self-publishing, anyway) and I think this is a bit new yet to think it’s going to save anything, but who knows what’s in our future. Always good to keep abreast of what’s coming down the pipe. 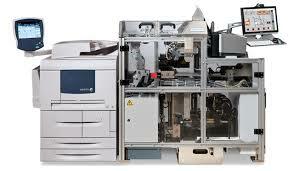 Amazon, Beware: How Print-It-Yourself Technology Could Save Publishing. This entry was posted on April 1, 2015, in printing, Uncategorized and tagged book printing, do-it-yourself book printing, new book printing options, self-printing. Bookmark the permalink.